Bonanza Freeze in Butte is a walk-up and drive–thru. Gotta love the plate glass wall. The Dizzy Diner in Terry, on the historic Yellowstone Trail, is a drive-thru and has a few places inside–with traffic on old U.S. 10 being diverted to the interstate, it survives as a local town restaurant–true for several other places in Montana. 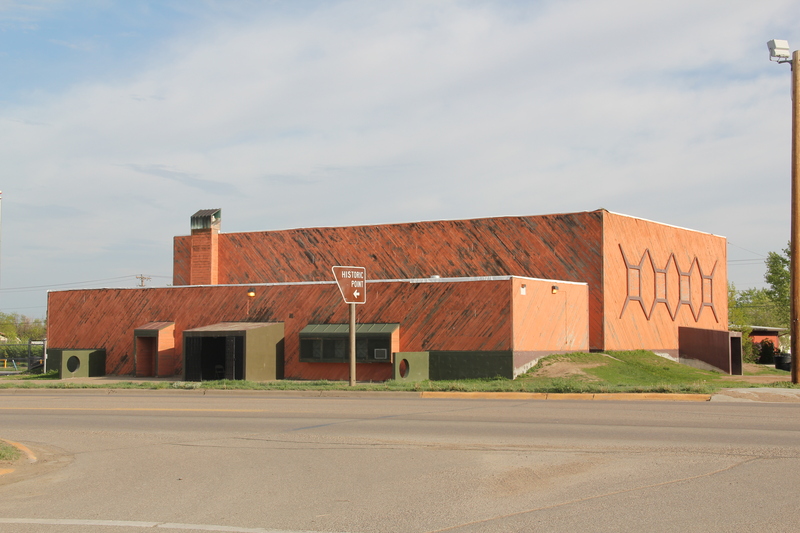 The Big K in Baker is along U.S. Highway 12–it too works as a walk-up–in southeast Montana. The Main Drive-In in Conrad is located on the historic federal hi way (U.S. 91) and still draws in customers despite competition from chains and the diversion of most traffic to Interstate Highway I-15. At Scobey, Shu Mei’s Kitchen converted an earlier drive-in into a family restaurant on Montana Highway 13 in northeast Montana. This former drive-in at the forks of the Yellowstone Trail in Three Forks has been converted to a coffee shop. 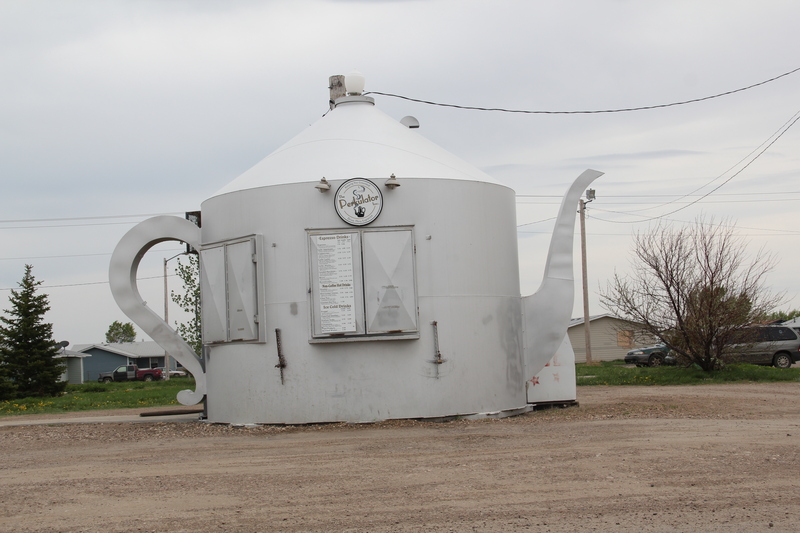 But my favorite coffee drive-in, by far, is the Percolator, in Poplar along U.S. Highway 2 in northeast Montana. Frosty’s In and Out is another classic drive-in along the historic Yellowstone Trail, this time in Glendive. It’s not surprising that Lewistown, in the middle of the state faraway from the interstate system, has several still operating roadside establishments from the mid-20th century, such as the Wagon Wheel Drive-In (above–and being a southerner I loved the sign that bragged “we have MT Dew”) and the Dash Inn (below), which opened in 1952. The next three may well be my favorites of all of the different drive-ins. Ford’s Drive-In in Great Falls is so eye-catching with its Art Deco-influenced design and neon. Burgerville in Polson is just, well, eye-catching with all of its signs and towers–how could you ever miss it along U.S. Highway 93? Then there is Matt’s Drive-In in Butte. This place was awarded the prestigious 2016 America’s Classic Award from the James Beard Foundation. 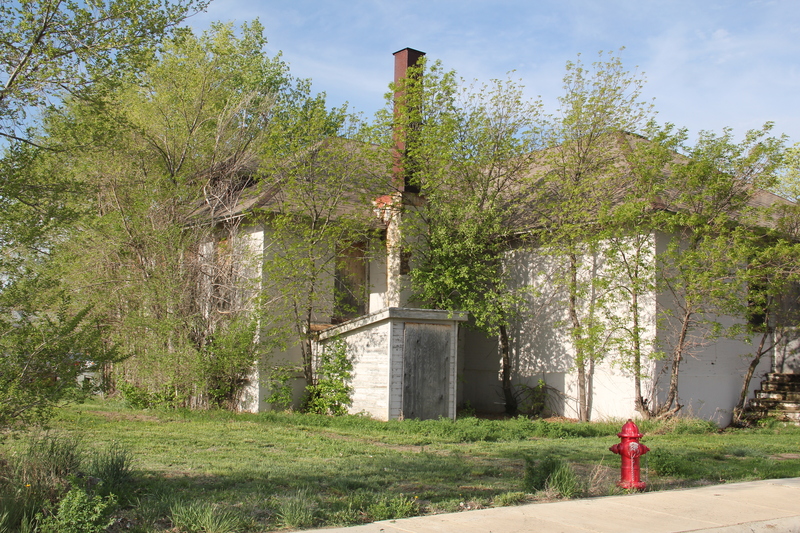 The foundation’s press release stated: “The whitewashed cottage with sky-blue trim opened in 1930 as a drive-in. The staff still deliver some meals curbside to this day, and they remain cheerful curators of community, working the soda-fountain counter in a room lined with midcentury-style wood paneling. The food does the roadside genre proud.” Yes, indeed. And you haven’t been to Montana if you have not tried a nut burger from Matt’s. Always add a shake and onion rings here too. 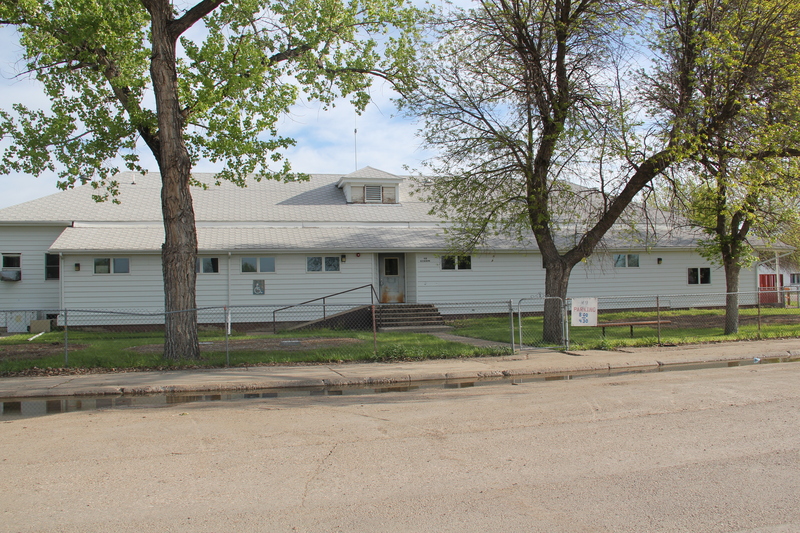 If you arrived in Poplar, Montana, via train, as tens of thousands did 100 years ago, you saw little that made this place seem different than dozens of other northern plains towns. 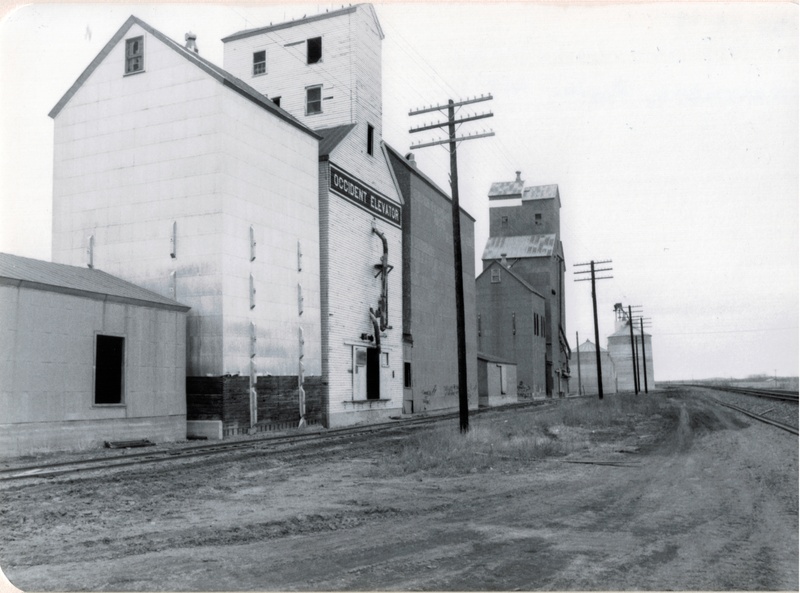 Grain elevators dominated the skyline; almost as imposing were multi-story hotels–not luxury lodgings but a place to literally land for newly arrived homesteaders or “drummers,” salesmen traveling the line trying to drum up business for industries located in faraway metropolitan centers. 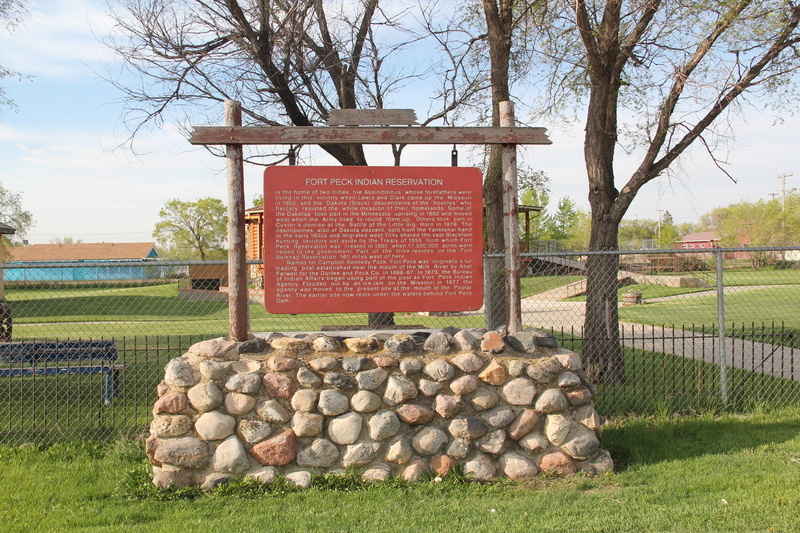 But if you move north away from the tracks and toward the modern-day U.S. Highway 2, a different, distinct world is found, in the historic buildings of the Fort Peck Indian Reservation. 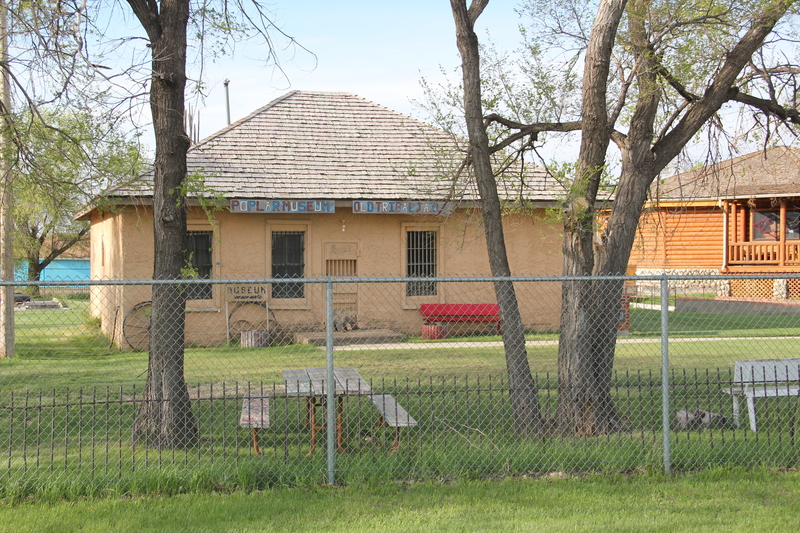 Near the Montana Highway Historical Marker telling the reservation’s story is a historic jail building from the late 19th century–the town’s most identifiable historic landmark in my 1984 work and today. 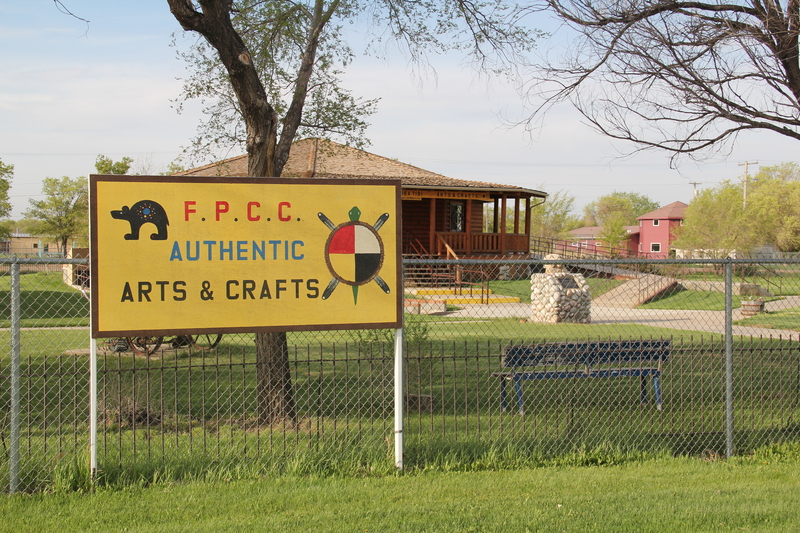 Next to the jail was a new arts and crafts shop, aimed at travelers along U.S. Highway 2, part of a significantly expanded presence for the Fort Peck Community College. Indeed, the new college buildings are among the most attractive institutional buildings that you can find along the eastern end of U.S. Highway 2 in Montana. 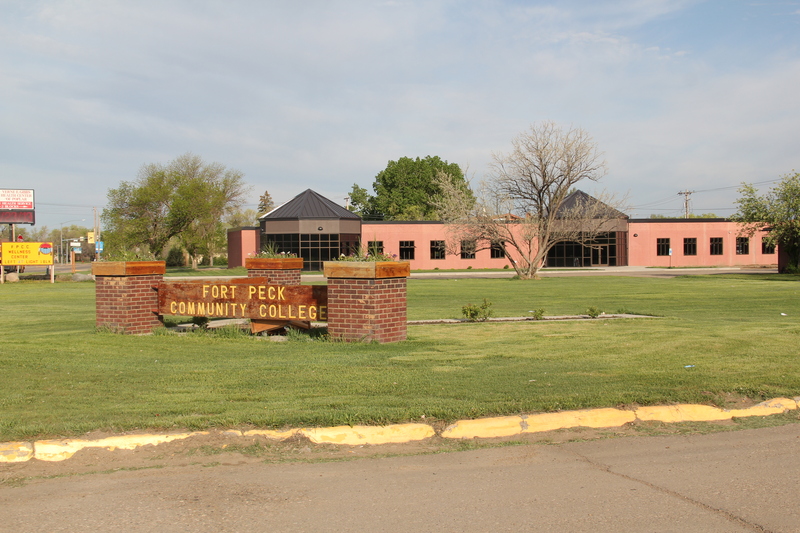 Their bold colors and dramatic placement along the highway demonstrates the importance of education for the future of the Fort Peck Indian Reservation. 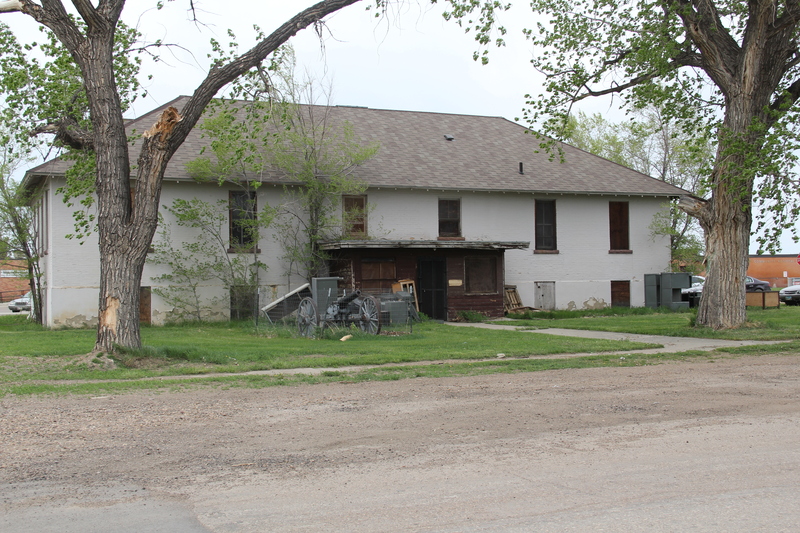 North of the new buildings are many historic buildings associated with the reservation’s development in the early 20th century. Some are abandoned and in poor repair but most are in use, still serving the tribes in the 21st century. No doubt as to my favorite new building in Poplar in 2013: The Perculator. Not only a classing roadside building, but they also made great coffee–perfect for a long day of fieldwork in the Fort Peck Indian Reservation.